No limousine out there can match the C300 Baby Bentley for heritage and prestige. In 2009 the Bentley company marked 90 years of W.O. Bentley’s legacy. True to the Bentley heritage the modern vehicles are still hand crafted and incredibly well engineered, making them luxurious, prestigious, yet still capable of delivering high speeds. 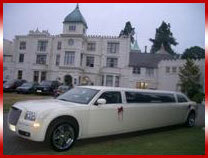 Our fleet of limousines has 3 magnificent C300 Baby Bentleys to choose from and the silver C300 is one of the most attractive limousines available for hire on the market today. As with all of our Baby Bentleys, the silver C300 has the usual jaw dropping appeal that you have come to expect from our vehicles. 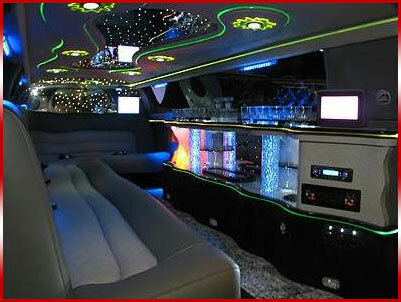 The features of the Baby Bentley include mini-bar, stocked with complimentary bubbly or any beverage of your choice(please advise us beforehand of any specific requirements), mood lighting and laser light show. The audio visual equipment includes an ear drum bursting 1800 watt multi speaker CD player, flat screen TVs and DVD player to play your favourite moves. Please feel free to bring your favourite music or DVDs of your choice, to help you really enjoy your limousine experience, whilst relaxing on the comfortable leather setting. 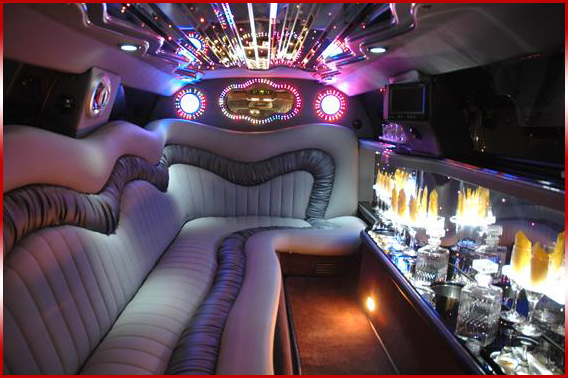 From the exterior the silver C300 limousine is a fantastic looking vehicle, which is guaranteed to make your arrival a head turning affair. 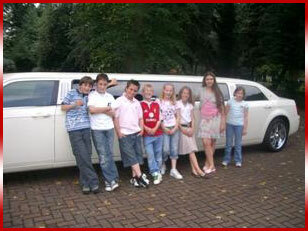 Just imagine arriving at your destination in a stretched Bentley limo, your chauffeur opens the door for you, allowing you and your friends to make your big entrance. This is an occasion which you and your friends will be talking about for a long time. So if you want to make your stag party, hen party, birthday celebration or prom night a really special event, then you should be planning to turn up in the C300. 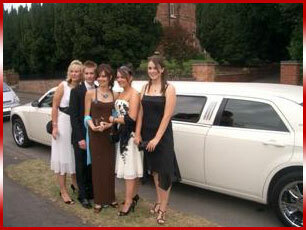 Midlands Limo Hire endeavour to provide you with a service that is the best in the business. 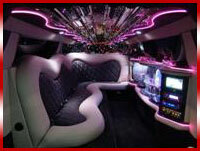 Your limousine will be immaculately presented and you will be treated to the best level of customer service imaginable. 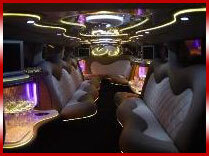 The mini-bar will be stocked with 6 bottles of complimentary bubbly to help get the party underway and your chauffeur will make sure that all of your needs are attended to. If you have any special requirements, then please do not hesitate to mention them and we will do everything that we can to meet your requirements.